Oh my what a pre shave oil this is. This is perfect for the users of Cartridge style blades such as Gillette Fusion. The oil is thinner than the Bluebeards revenge pre shave oil. Therefore the blades are easier to rinse during the shaving session. 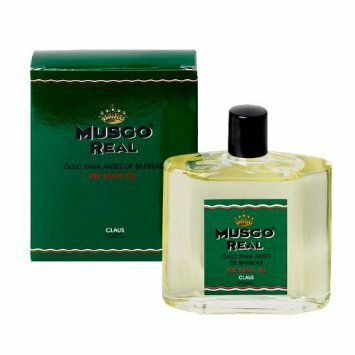 Nevertheless The Musgo real pre shave oil does an amazing job of preparing your skin. For those who sometimes suffer with razor burn, the oil will help reduce the problem for you. The best way to use is to wash face, apply oil. Leave the oil on your stubble then add your shaving cream or soap.